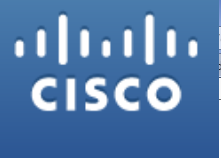 Cisco Systems, Inc. (NASDAQ:CSCO) is all set to start big in the cloud computing network and the company is going to invest up to $1 billion in cloud computing offerings. The tech-giant is likely to collaborate with 30 companies in the global cloud computing initiative. Intercloud, cloud computing network, is a premier offering that will help businesses process data sent from over billion devices as well as applications from a global network, Cisco Systems, Inc. (NASDAQ:CSCO) said. This initiative is likely to bridge the gap between private and public cloud computing systems in a manner similar to telecommunication companies working through roaming network agreements. Cisco Systems, Inc. (NASDAQ:CSCO) would add up to 250 data centers in 50 different countries for the expansion of its global network. Some of the potential partners in this initiative are Equinix Inc (NASDAQ:EQIX), BT Group plc (ADR) (NYSE:BT), and Deutsche Telekom AG (ADR) (OTCMKTS:DTEGY). Cisco Systems, Inc. (NASDAQ:CSCO) and Equinix Inc (NASDAQ:EQIX) are going to develop enterprise level cloud computing solutions for enterprises. Both the companies plan to develop a hosted private cloud solution for the global clouding computing network, Intercloud, and the private solution would use Equinix Cloud Exchange for data processing. Further, Equinix Inc (NASDAQ:EQIX) will allow Cisco Systems, Inc. (NASDAQ:CSCO) to use its global International Business Exchange (IBX) data center platform. BT Group plc (ADR) (NYSE:BT) is likely to use Cisco cloud services for interconnecting private and public cloud services to the Intercloud and offer a secure environment to its customers for transferring and processing data from BT’s network to other cloud service providers.